Hull City have heralded Sam Clucas after the violently orange midfielder achieved a notable goal-scoring feat over the weekend. 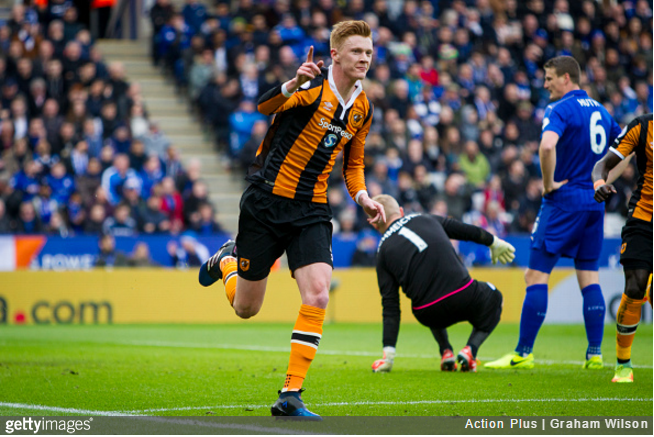 Clucas swept home the Tigers’ only goal in their 3-1 away defeat against Leicester City, and in doing so scored the very first Premier League goal of his career. However, the real accolade is that the 26-year-old has now scored a goal in five different divisions in five consecutive seasons, each a tier higher than the last. Clucas began his streak by scoring for Hereford United in the Conference in 2011, then Mansfield (League Two) and Chesterfield (League One) before moving to Hull (Championship and Premier League) in the space of half a decade. Well played that man, and for dragging himself up the hard way too.